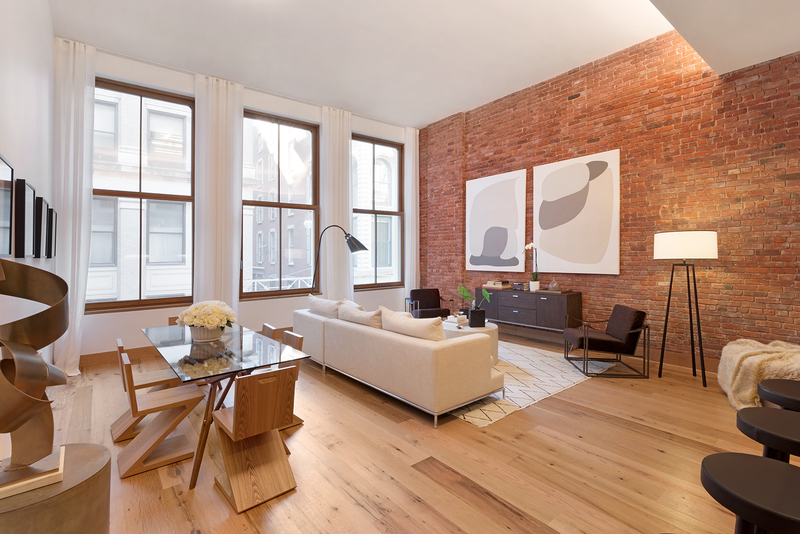 Offered at $4,250,000, this two-bedroom, two-and-a-half bathroom loft offers ceilings reaching over 14 feet in addition to modern design in the heart of Tribeca. The expansive living/dining room is anchored by oversized Zola Passive House triple-pane windows, reclaimed oak flooring and more. Make an appointment for Saturday’s open house at downtown’s smartest and most environmentally-conscious boutique condominium!